His daughter who found his body Monday night is saying it looked like he was strangled. This may be Russia's answer to PM May. Of course, a majority of tweets I've read while waiting on facts, are blaming President Trump for this. British Foreign Secretary Boris Johnson said Tuesday that Russia has "until midnight tonight" to explain how a lethal Novichok nerve agent that was developed in Russia came to be used on U.K. soil. Johnson said Britain is preparing to take "commensurate but robust" action. Reiterating British Prime Minister Theresa May's statement that it was "highly likely" Russia was to blame for the poisoning of former Russian spy Sergei Skripal and his daughter, Yulia, Johnson said, "the use of this nerve agent would represent the first use of nerve agents on the continent of Europe since the Second World War." Skripal and his daughter were attacked more than 10 years after he was arrested and charged with working undercover for Britain's MI6. He was freed in 2010 and allowed to move to the U.K., benefiting from a prisoner swap. He is now a U.K. citizen; he and his daughter remain in critical condition after being poisoned in the historic city of Salisbury, England. Also hospitalized was a policeman who responded to the scene; he remains in "serious but stable" condition, May said on Monday. On Tuesday, May spoke with President Trump "to update him on the ongoing investigation into the Salisbury incident," according to a Downing Street spokesperson. "President Trump said the U.S. was with the U.K. all the way, agreeing that the Russian government must provide unambiguous answers as to how this nerve agent came to be used," the spokesperson added. Russia has rejected Britain's claims — on Tuesday, Foreign Minister Sergey Lavrov said they were "nonsense." Russia has asked for access to the substance that was used — and "to all the facts linked to the investigation," state-run media Tass reports. But, Lavrov says, those requests have been rejected. The nerve agent used to poison the father and daughter is among the deadliest chemical weapons ever developed, as NPR's Geoff Brumfiel reported. The nerve agent is part of a group of lethal materials whose name, Novichok, means "newcomer. " They were developed at the end of the Cold War. Amb. Haley speaks at the 37:00 mark. At UN Security Council meeting, Amb. Haley says US believes Russia is responsible for nerve attack: "If we don’t take immediate, concrete measures to address this now, Salisbury will not be the last place we see chemical weapons used ... This is a defining moment." President Trump on Monday ordered the expulsion of 60 Russian intelligence officers in the United States and the closure of the Russian consulate in Seattle in response to the nerve agent attack on an ex-Russian spy in the U.K. earlier this month, senior administration officials said. The steps, following Britain's expulsion of Russian diplomats, are meant to send a message to Moscow that actions have consequences, the officials said. The Seattle consulate is being closed because of its proximity to submarine bases, as well as Boeing. Russia, which has been blamed for the attack, has denied wrongdoing. Kremlin Spokesman Dmitry Peskov vowed a reciprocal response over Monday’s expulsion, according to Russian state run media. "We’ve said more than once and we say once again: Russia has had nothing to do with this affair whatsoever. Naturally, as before, we will proceed from the principle of reciprocity," Peskov said. British intelligence officials at MI6 allegedly had discussions with the CIA about resettling Sergei Skripal and his daughter Yulia. London: The former Russian double agent and his daughter, who are recovering in a UK hospital from a deadly nerve agent poisoning, will be offered new identities and repatriated to the US with the help of the CIA, a media report has claimed. Sergei Skripal and his daughter Yulia are said to no longer be in a critical condition at a hospital in Salisbury, where they have been treated since being discovered slumped on a bench in the Wiltshire town in south-west England on March 4. British intelligence officials at MI6 have had discussions with their counterparts in the CIA about resettling the father and daughter, 'The Sunday Times' reported. "They will be offered new identities," the newspaper quoted a senior figure from the UK political establishment as saying. Both victims are said to be conscious and ready to help investigators with their inquiries into the nerve agent attack, which the UK government believes was masterminded by the Kremlin. For Britain to help the pair, a senior police officer is expected to issue the Skripals with a so-called "Osman warning", a formal notification that intelligence suggests there is a real and immediate "threat to life". They could then be placed under a witness protection programme on the basis that the pair holds key evidence about a possible motive for the attack. That could involve moving them to a "safe house" and being given round the clock armed police protection as well as new identities. Security sources told the newspaper that Britain would want to ensure their safety by relocating them with one of the "five eyes" countries, the UK's intelligence-sharing partnership which includes the US, Canada, Australia and New Zealand. Dawn Sturgess, 44, fell ill alongside Charlie Rowley, 45, around eight miles from where former Russian spy Sergei Skripal and his daughter were poisoned with the same substance in Salisbury in March. A TOP OF HIS PROFESSION Russian assassin on a mission to SECRETLY (under cover) kill a redundant and unimportant Russian ex-spy. Uses a substance difficult to obtain. Poses great risk to himself. It is CERTAIN to be identified as having "Russian origin"
I've read several articles about this and it makes NO SENSE whatsoever. What about the paramedics, hospital staff... who found them, what exactly did they touch? Officers are still trying to work out how Ms Sturgess and Mr Rowley were exposed to the nerve agent although tests have confirmed they touched a contaminated item with their hands. 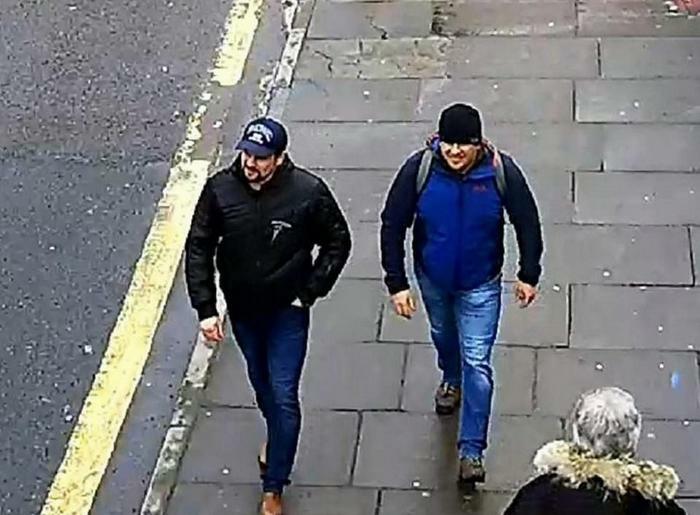 A BBC security correspondent is speculating "that the pair became contaminated after touching a poison container left over from the March attack on Sergei and Yulia Skripal." Rumpole, you are so right about the "method of choice" used. None of this adds up. Charlie Rowley, who has been in hospital since falling ill in Amesbury on 30 June, is in a critical but stable condition. But the 45-year-old "is still very unwell", a statement said. Director of nursing Lorna Wilkinson said: "[Charlie Rowley] is in a critical but stable condition, and is now conscious. "While this is welcome news, clearly we are not out of the woods yet. "Charlie is still very unwell and will continue to require specialist, round-the-clock care here at Salisbury District Hospital." Police seized a car in Swindon on Monday as part of their ongoing investigation into the poisoning. The BBC understands the white Audi belonged to a paramedic who had been with Ms Sturgess in an ambulance when she fell ill.
Local residents said the paramedic had told them he got bodily fluids on him, but he had been checked over by doctors and given the "all-clear". His car was sealed and taken away on the back of a truck. Residents also claimed he had told them both his car and his clothes were being taken to the government laboratory at Porton Down to be destroyed. Police are continuing to hunt for a contaminated container which they believe was handled by the pair. Gatwick Airport timestamp cover up, or much ado about nothing? Skripal poisoning hoax takes strange turn with RT's exclusive interview of UK "suspects"
The two men named by UK authorities (and one hysterical Theresa May) as suspects in the Sergei and Yulia Skripal case reached out to RT editor-in-chief Margarita Simonyan to tell their side of story. Simonyan does an excellent job of questioning the two men about many unanswered questions regarding their bizarre implication in the 'Novichok hoax' that has seriously damaged UK relations with Russia. Taking a look at the exclusive interview, it is clear that things have gone from weird, to a lot weirder, in the Skripal storyline. Putin trolls Theresa May, calls Skripal "traitor and scum"